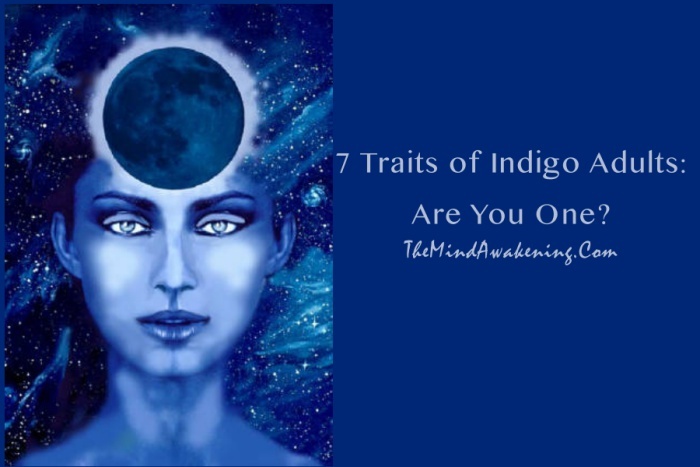 We have been hearing a lot about Indigo children recently as they are becoming increasingly common, but what about Indigo adults? Indigos are not a recent phenomenon, they have been arriving for decades so there are plenty of Indigo adults around, too. Read through the following signs to find out if you’re one of them. Indigo adults rarely accept things ‘just because’; they have a strong need to understand ‘why’ things happen. Indigos question things incessantly, seeking to understand the meaning behind why things are the way they are. Indigos may in particular question inequality, suffering, hate and war as they cannot understand what fuels man’s inhumanity to man. One of the things Indigos often question is authority. This is because they do not believe the accepted wisdom is always correct. Indigos may have had a hard time at school because they argued with the accepted ways of doing things. They can often be seen as argumentative and troublemakers, however, they do not necessarily mean to cause trouble, they simply cannot keep quiet when they see unfairness and inequality. For this reason, Indigos often become apathetic towards conventional political and social systems. Instead of focusing on these old systems, they attempt to make changes in new ways such as sharing their views via new media forms, becoming active in environmental projects, or working in the healing professions. Indigo adults find it very difficult to bear the suffering of others because of their deeply empathetic nature. For this reason, Indigos may avoid watching too much news – not because they don’t care what is happening in the world, but because they care so much. For an Indigo, watching innocent people suffer through famine, war or natural disasters is traumatic and the feelings are worsened when the cause of the pain is avoidable such as in cases of war or the misuse of resources by large corporations. Indigos often avoid violent media in general because their empathy levels are so high that watching distressing scenes causes them emotional pain. Indigo adults often have a close affinity with animals. If they are able to, they may rescue animals or support animal charities. Indigos love spending time in nature and enjoy looking after gardens and houseplants, too. They also love to watch documentaries about animal behavior and the beauty of the planet we share with them. Indigos do not believe that animals are less important than humans in this world because they understand that everything is connected and we are all equal and interdependent. 5. You have feelings of existential despair. Many Indigo adults have felt depression,helplessness and despair in their lives. These feelings may have started in the teenage years and cycled ever since. These feelings are often caused by the fact that Indigos simply cannot understand the harm that humans do to one another, the disregard for Mother Nature or the emphasis on power and profit. Indigos can often feel that they don’t fit in to a society that sometimes seems cold and uncaring. They can find building relationships tricky as they find it difficult to relate to others and are scared that people will think they are ‘weird’. They don’t like to judge others or gossip and are often not interested in material things or popular culture. Once Indigos find a cause they can work towards to make a positive difference in the world, the feelings of despair often lift. Indigo adults often develop an interest in psychic or spiritual phenomena from an early age, much to the surprise of their family and friends. It is not uncommon for Indigo children to share a desire to visit religious buildings or to pray, despite being brought up in non-religious families. This interest continues to develop as Indigos reach adulthood. Indigo adults are open-minded about spirituality and religion, seeing only the love and light behind them rather than accepting religious dogma. Indigos may have had experiences with seeing beings from other realms such as spirits, ghosts or angels. They may have also have had many ‘bliss’ experiences and felt an awareness of other dimensions and parallel realities. Indigos might also experience problems in the material world such as being unable to wear watches as they always stop working, having problems with computers and other technologies behaving strangely when they are around, or finding the lights around them frequently flicker or blow out. Indigos often have a special affinity with the time 11:11 and notice it often when they happen to glance at a clock. Indigo adults often feel a burning desire to find and achieve their life purpose. They may feel a very strong need to make a difference in the world and leave it a better place. However, it is not always easy for them to find this sense of purpose within the society in which we live. In a society that values hard work, financial and social success, political power and consumerism, Indigos can often feel like failures. This can lead to frustration within the Indigo person who feels this deep need to achieve their potential but cannot find the structures to support them in this desire. Learning to listen to their intuition may be the first step an Indigo adult needs to take to move towards their life purpose. Their intuition will then lead them towards people with similar values and sources of information that will support them on their path. When an Indigo adult can learn to question the social norms of their culture and society and seek a deeper sense of meaning, they can begin to strive towards their sense of purpose and begin to flourish. Indigo adults can make a real difference in the world because of their special gifts. If you think you are an Indigo, then it is well worth exploring this dimension of your spirituality further to enable you to bring your unique gifts of light and love to the world.